Sometimes, Destiny is kind. Other times, I seem fated to look at unenjoyable things. At the present time, at least, Destiny or Fate, unfortunately, is the latter. Not that there isn’t a chance, as the basic idea, that of a turn based card battler, has been proven to work several times. Kyle, Strider Hiryu’s lesser known, angstier brother. The thing is, DoF is swingy as heck. When it goes well, it goes well. And when it doesn’t, it’s a tiresome, unenjoyable slog. And there’s a few potential reasons for this. 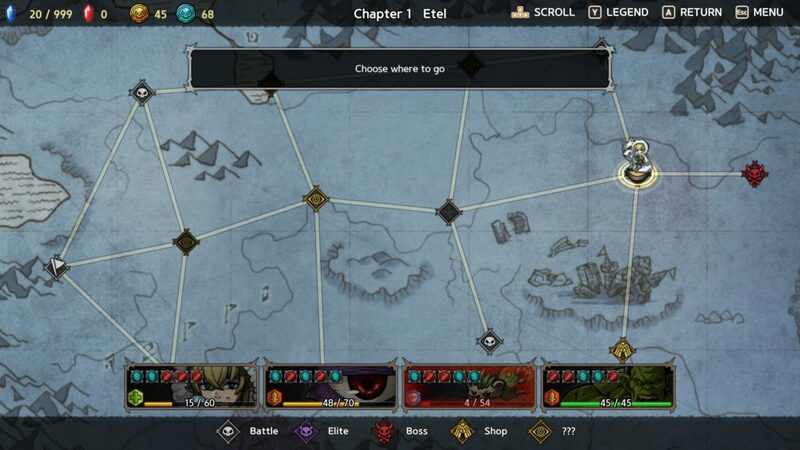 The basic idea is fine: Move between areas clearly labelled as normal fights, elite fights, shops, events, and bosses. If it’s a fight of some description, you get 3 mana a turn to play cards, and playing cards of the same type as currently unlit orbs on your character’s status gives energy for a special ability, which triggers when it’s full. Win a fight, you get rewarded with a couple of different types of currency, a new card for your deck, and a monster to add to your party from the ones you fought. 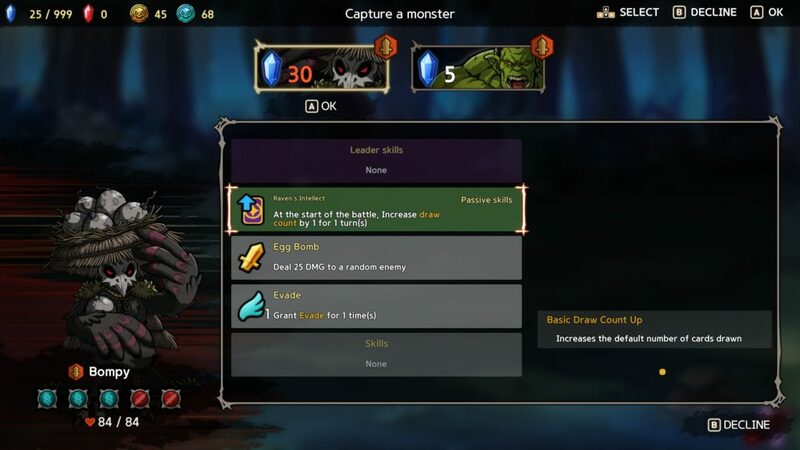 At the shop, you can buy and upgrade cards, unlock heroes after you’ve met them in events, and upgrade both your hero and your captive monsters. Beat the boss to go to the next area, and no, you don’t get to buy the boss. At the end of a run, what you preserve is… The heroes unlocked. Some stuff is early access problems (Such as some quests claiming you don’t have money when you do), and relatively forgivable, but, overall, while the game visually does well, it wears on the sound front, and feels, in turns, arbitrary, tedious, and humdrum mechanically. I wouldn’t mind quite so much if I’d unlocked much in single runs, but, as noted, even basic unit upgrades take a while, and since the survivability of the lower-tier units is “A few fights at most”, it just doesn’t feel worth it. So, that’s Destiny or Fate: A game which has a solid core idea, but whose execution is currently lacking on the balance front. Sometimes, getting what I want to see feels like a monkey’s paw just curled. 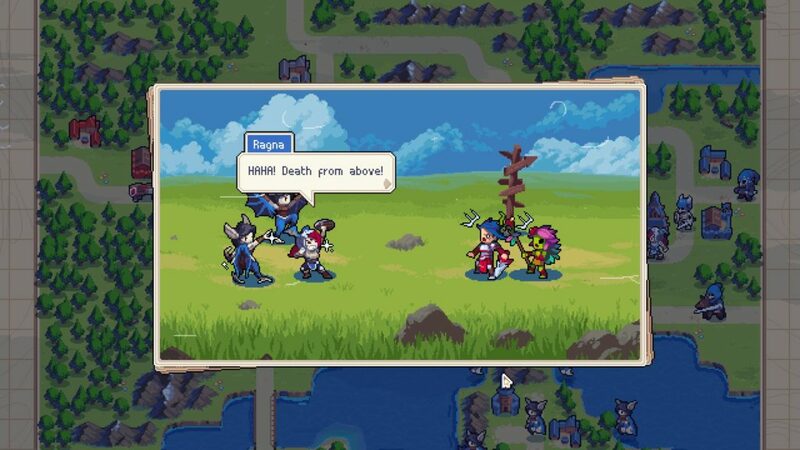 Thankfully, Wargroove is not one of those times. But oh boy, it could have been. After all, for all that the Advance Wars games were solid, they were definitely not without flaw, and irritation. Not this bit, though. This bit has always been cool. Obligatory “Good Boy About to Inspire His Troops To Smack Bandits Down” image. Where it changes, however, gets interesting. 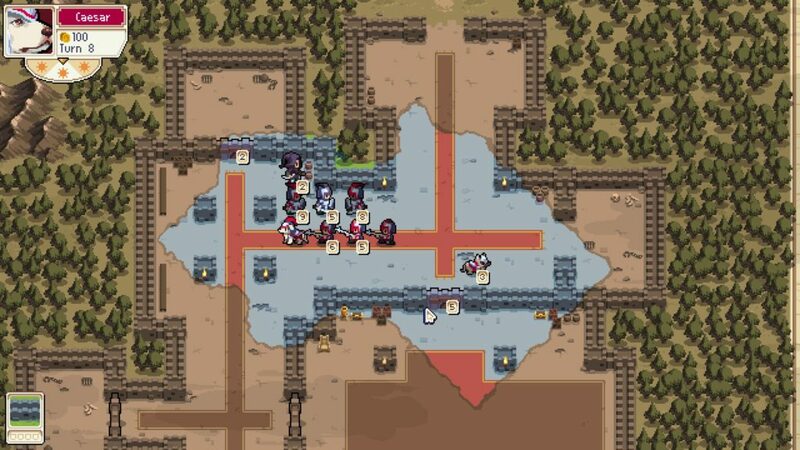 Yes, buildings get captured, but once they are, the side in question gives them HP before they can be recaptured, which replenishes slowly, but can also be used to heal surrounding units (A cool tactical consideration.) 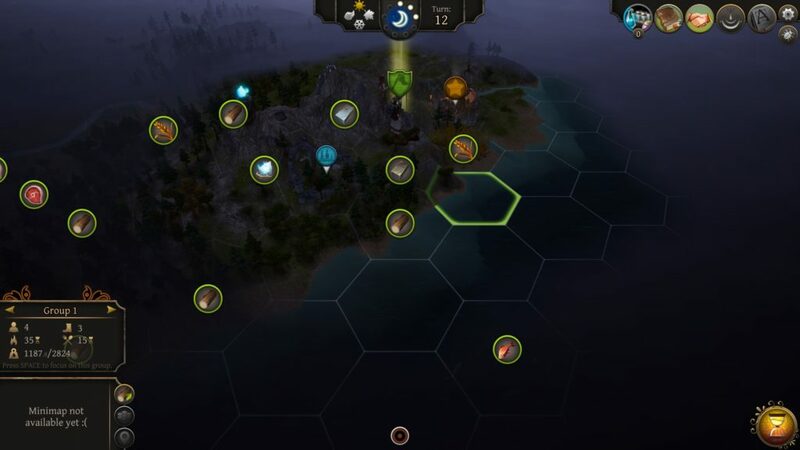 Units’ critical abilities encourage you to play in certain ways (Such as archers being stationed to guard choke points, pikemen grouping up to tag-team enemies, or knights charging across the battlefield), and the commanders being on the field also changes things up, as they’re basically super-units, balanced out by the risk of them dying if they overstretch, and the fact that commander powers are used by the commanders limits their utility somewhat. That still leaves a first turn advantage in multiplayer, from what I hear, but, overall, it’s an interesting move, and expands the tactical options somewhat. 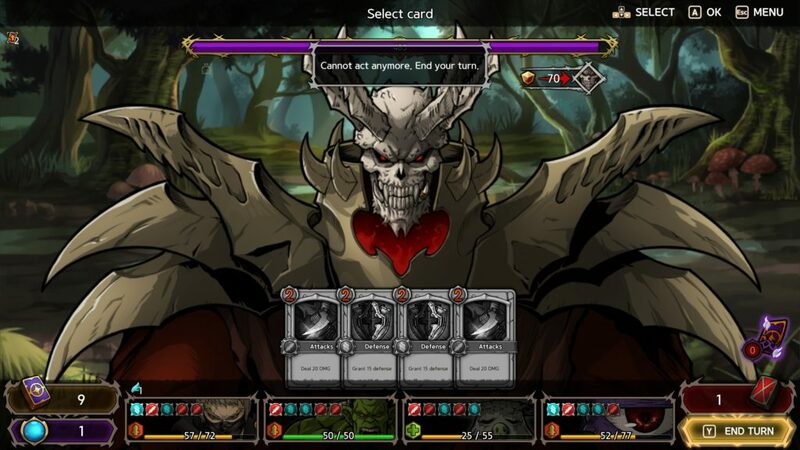 Now add in that the difficulty can be eased in several ways, allowing you to experience the game at the cost of completionist factor (Lower difficulties, which is also customisable, reduce the amount of stars you can potentially earn in a game), and a checkpoint system mid-mission, and the game is, mechanically, both pretty tight, and accessible. The UI is solid, the pixel art is good, the writing pays homage to its inspiration, and the sound and music is solid. 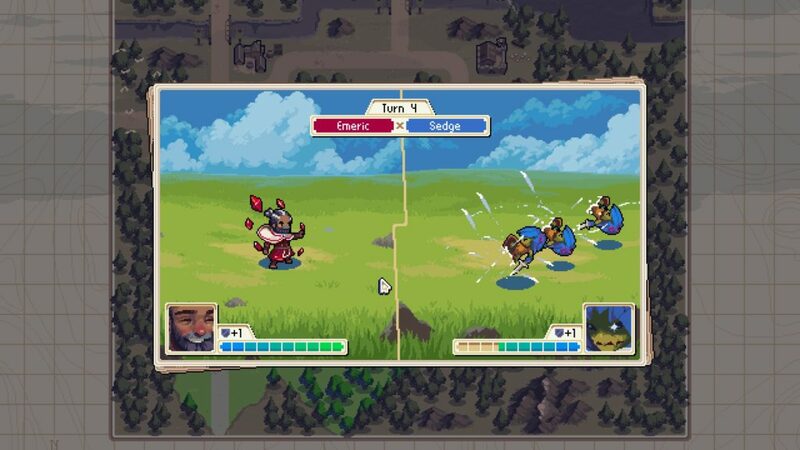 What I’m basically getting at here, is that Wargroove definitely gets the coveted “What It Says On The Tin” award, along with accessibility and aesthetic points, making it a good turn-based strategy, not outstaying its welcome, and what few flaws I felt I came across, are either relatively minor, or fixed with some sort of feature in recent weeks. Worth a look! Vampire batladies, accessible strategy, good dogs, and cackling villainy. Yes, these are the good things in life. Survival 4X. Not words you generally hear, those. And a big part of that is that a 4X, itself, isn’t easy to balance. Adding survival elements, narrative elements, and quest elements can make that process more painful. Such, so far, is the case with Thea 2: The Shattering. A sequel to Thea 1, which had similar mechanics and themes, Thea 2 is a 4X where your small group must survive, grow, and survive as long as possible, hopefully to find some solution to the Shattering, the death of the world. Yeah, about that… Good luck with it. See, there are two mandatory types of resource for survival, and if you do not have those anywhere within range, your options are fatally limited. The upside is that this is potentially a pretty good site. The downside , however, is that one of my four team-members is already dead, and morale is so terrible some of the others won’t help. WELP. You start with some food, and surviving for enough turns on Normal difficulty will earn you God Points, which can be used to get extra benefits on start, but even with those… Currently, surviving even the early game is a painful, frustrating slog. Sometimes, it’s because you can’t find a good camp-site anywhere nearby, and have to subsist, while the world and its inhabitants do their best to wear you down through random events (often hostile), wandering monsters and lairs (most hostile at night), and events that you want to complete for better resources, but not winning those events will likely lead to the death of group members, which, considering how few events give you group members (even fewer if you are all of one gender, as sometimes happens), is a lingering death sentence all of its own. Find somewhere to camp, and, on the one hand, you now have somewhere to stay, that can support you within its (limited) range as you scavenge and adventure. The downside being that you still have the hostile events, beasts, limited replenishment, and whatnot, with not being able to take everybody adventuring, and… Well, should you lose adventurers out of range, well, that’s a different kind of slow, lingering death. There’s a lot of slow, lingering death here, is basically what I’m getting at. And part of this feels like conflicting directions of play, neither of which, at the present stage, feel balanced or complete. 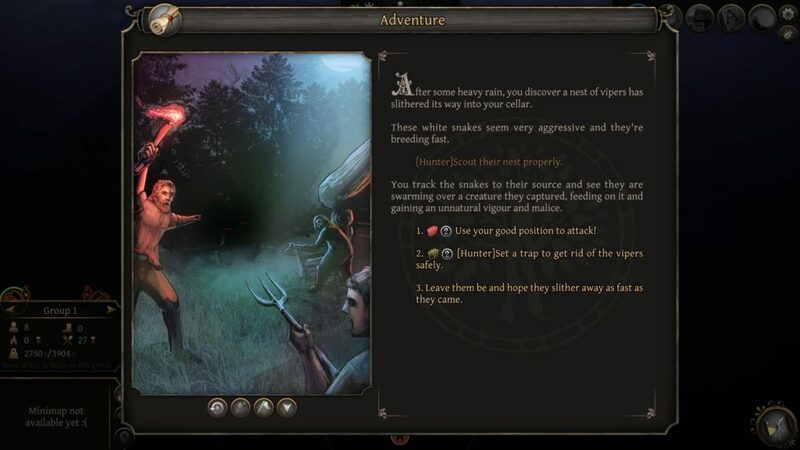 Quests demand that you wander, as does diplomacy with the other factions present, but once you settle down, your ability to complete those quests safely drastically goes down, even as you have achieved relative safety for your camp. At the same time, proper crafting and gathering, cooking, researching and rituals all demand a campsite, but that diminishes your ability to further the storyline. The game wants to deal with a small group, that much is clear. But it also wants you to roam free, which is only do-able after a lot of safety ensuring at the campsite to start with. In essence, each play direction (both necessary for completion) brings down the other. And the frustrating part is that I’m sure there could be a balance between the two that changes it from what it currently is (Slow, frustrating, and often involving slow deaths where it’s much easier to cash in what few God Points you have, if any, before the game finishes its slow descent into “Everyone has died.”) to something genuinely interesting. Tooltips are very helpful here, but the main thing you need to know here is that everyone except the house demon is dead, Dave. Everyone. And, make no mistake, there are hints of something interesting here. There’s an interesting, Russian myth inspired fantasy world. 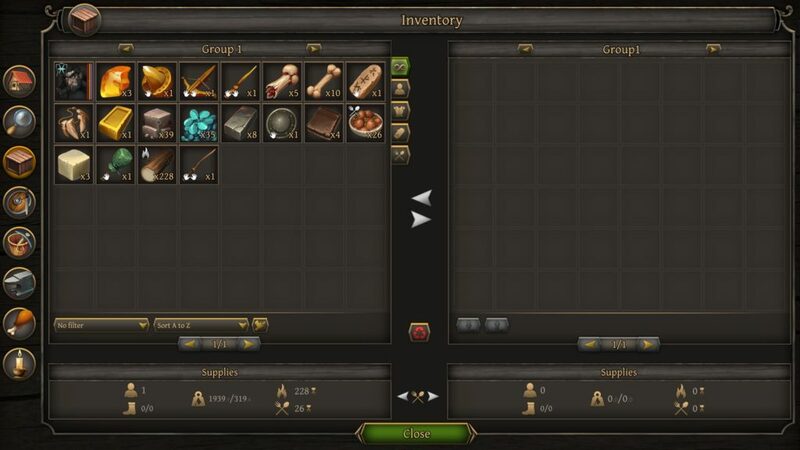 There’s some solid hand-painted visuals, and, aside from the camp screen being a little cluttered and hard to decipher at first, it tooltips well. Its controls still have some issues (Mostly movement/selection frustrations, and the practice of making a second group a little more tedious than it needs to be), and, being an early access title, there’s been some particularly odd bugs (such as scavengers vanishing from trying to harvest a resource that simultaneously exists on the map, but presumably doesn’t in the code somewhere), but it shows promise. The problem being that the promise is currently obscured by imbalanced play goals, “Normal” difficulty still being a pretty harsh early game (Once the early game is passed, it gets somewhat easier), and nothing that prevents or even ameliorates a death spiral that I can see. As such, Thea 2 is currently a game I want to like. But it’s not really letting me. The Mad Welshman doesn’t really have much to add, unfortunately. It’s interesting, but distinctly unfriendly right now. …Yes, I said surreal and grim. But not without a touch of humour. 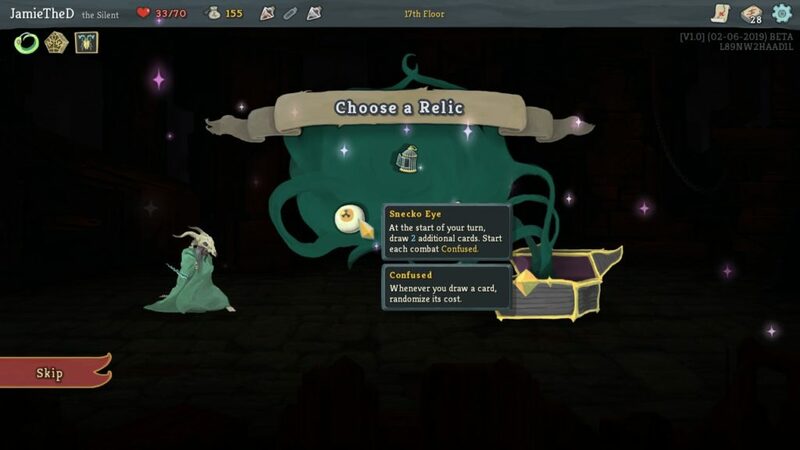 Since I last reviewed Slay the Spire, waaaay back when, a new character had been added (the Defect, an automaton whose deck revolves around the orbs that he summons, be they damaging lightning, cool, buffing ice, or other, more out there types), Ascension mode (where you can finally Slay the Spire, a living construct with a beating heart), and a whole host of balancing. So much more, on the other, similar looking hand, hasn’t changed, and what hasn’t changed… Hasn’t really needed to change. It’s still a game where you’re thinking both in the short term (How the hell do I get through this fight with a Snecko without too much damage, despite the fact they’re a git who randomises my once cheap cards to expensive hell?) and the long term (Once I beat the Snecko, do I go ballsy and try the random events, which could lead to worse things than the Snecko, but greater rewards, or do I slog through these… Another boss monster before the final campfire? RANDOM EVENTS IT IS!) is optimal, and the mix of patterns (enemies have very specific strategies they employ) and randomness (drops, money, what cards you get to add to your deck) mean that a lot of the game is, effectively, risk management. 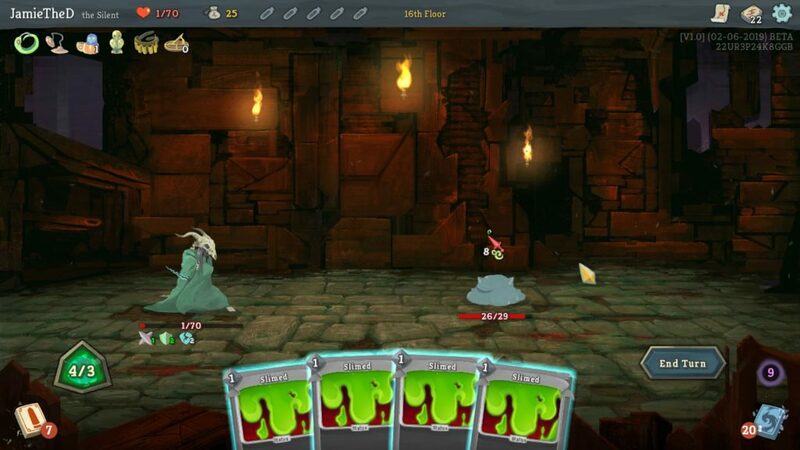 Snecko Eye, also known as the “I LOVE DICING WITH DEATH” option. And very tense risk management it is, where even seemingly hopeless situations can be won through, only for an unfortunate series of events to bring it all crashing down. An unfortunate series of events that may have started… in the last map. So, while it can sometimes be hard to judge, I’ve rarely felt like the bad end of a run is not my fault. What I got was a relic where, so long as I didn’t play more than 3 cards in a turn, I’d get 3 more next turn. This, along with a few poison cards, actually played surprisingly well, if nerve wrackingly. I was always losing HP, because I was playing much more conservatively with my cards than I normally would as the silent, but when your “Poison everyone a lot” cards keep coming up, creatures still die quickly. I beat the first boss (Hexaghost) with… 8 damn HP to spare, and got the powerup (along with the one I’d previously gotten where enemies would now drop 2 cards instead of 1) where I could get 2 relics for each Elite enemy I successfully fought. It’s rounds like these that make for glorious war stories… And, very quickly thereafter, tragedies. And so, in my quest for a kind of power you don’t normally see the Silent possess, I continued to choose… Poorly. It didn’t matter that I’d fully healed, because the very first fight I got into (Three birds, which is normally an easy fight), I chose to fight according to my relics, and lost half my HP. Then I lost some more HP getting my max HP up. Then I came out of an Elite fight with less than 10HP again, merely four encounters in, and the very next encounter was… The Knight and Priestess. A deadly combo even normally, they killed me. Not without me killing the priestess, but, as with those ancient PSAs about knowing, that was only half the battle. Dead. Restart. And a lot of this was my choices. 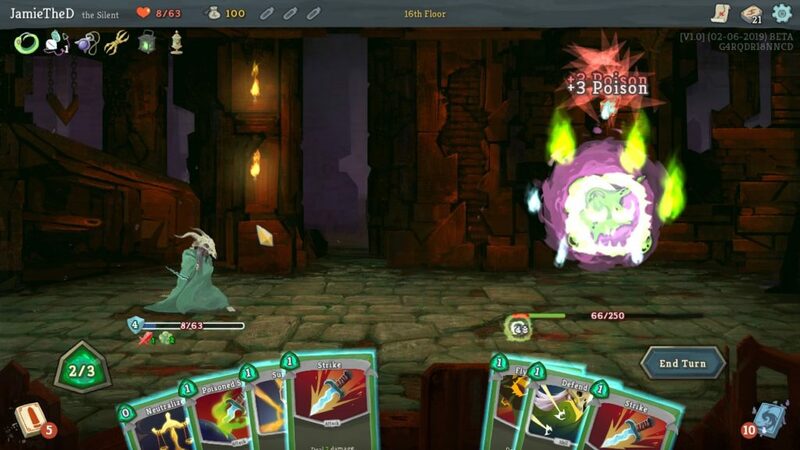 Still, what with mods, the good accessibility, an excellent score, good aesthetics with a lot of visual clarity, that aforementioned humour breaking up the grim world, Slay the Spire is a tense, yet oddly compelling outing, and has remained so pretty much throughout. The Mad Welshman goes with Snecko Eye whenever he gets the chance. That’s just the way he rolls. A good post-apocalypse is equal parts absurd and terrifying. Myths arise from casual misinterpretations, nomenclature is taken more seriously than perhaps it should, and yet, this is because death waits around every corner, just itching for the unwary. 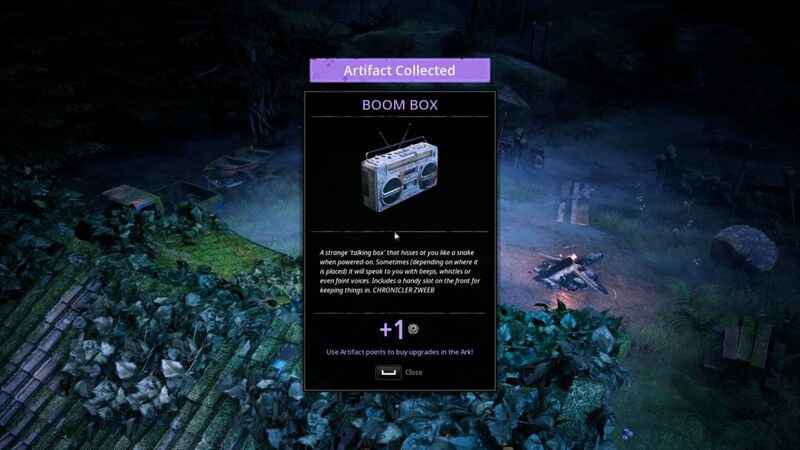 Why, then, would you not be afraid of something called a “Boom Box” with a red button on it? 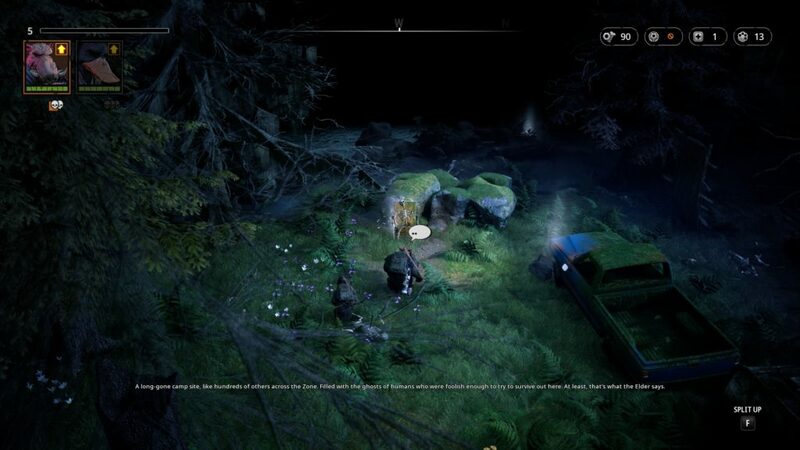 And that, apart from maybe a tale of tactical combat gone horribly wrong, is perhaps the best introduction to Mutant: Year Zero, a tactical RPG that moves relatively seamlessly between realtime isometric exploration, and turn-based tactical combat. A game where myths of survivors, that Safe Haven, put an already established community in danger. Perhaps more than even it’s aware of. 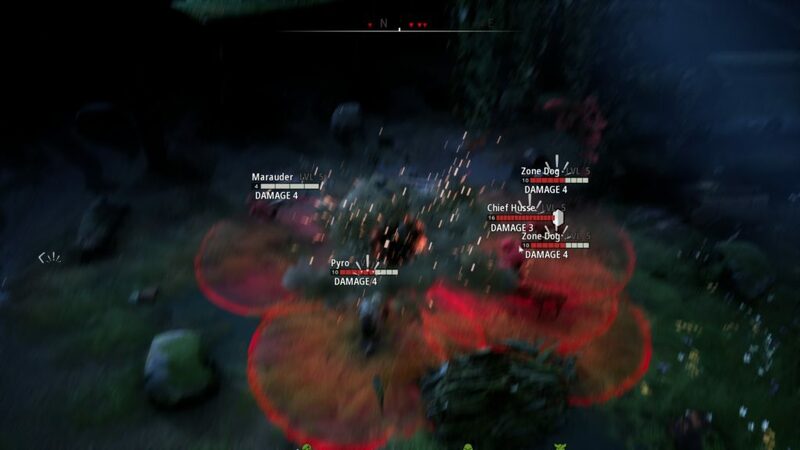 Mutant: Year Zero is also an interesting game, because, underneath all the glitter, there’s… Not actually a huge amount, mechanically speaking. There are relatively static shops at the Ark, your homebase. 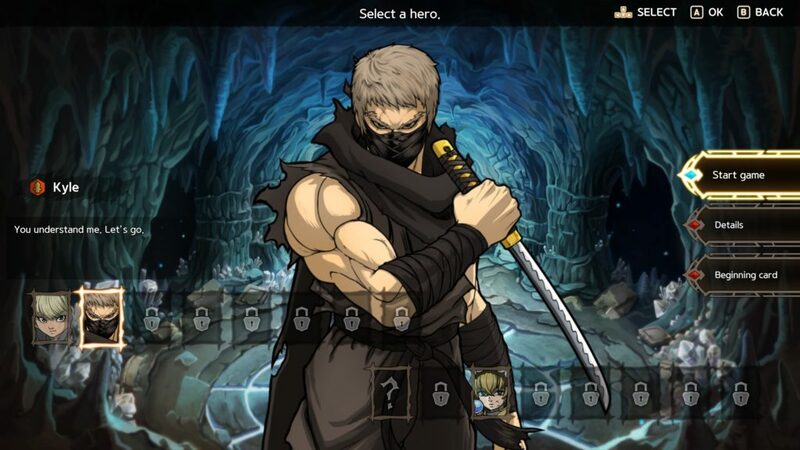 The turn based tactical combat is easy to get your head round if you’ve played anything with turn-based tactical combat… Two actions a turn, shooting ends your turn (generally), special abilities have kill based cooldowns, and ensuring enemies die quickly, and in a good order is the key to victory. A lot of it is writing, and mood, and aesthetic, all of which it pulls off… Quite well. Reality: Probably were out for Brewskis when the crap hit the fan. What we see? People who couldn’t hack it in this dangerous world. While relatively short, the game packs tightly, and if I had one critique, it’s that the relatively small seeming improvements can give an unwarranted sense of complacency. I hadn’t even realised I was halfway to a sensible level for taking on the next leg of my main quest at one point, and, at another very soon after, cursed that I hadn’t gone back to the ark to get those seemingly unimportant single damage points. Those seemingly unimportant single damage point armours. Just one extra heal. Those single points don’t seem to matter, but, as it turns out, they’re the difference between a stealthy kill of an outlier… And an extended firefight in which everyone dies. It’s a finely tuned game, but this also means that yes, those upgrades are important, although there’s obviously a little leeway. Scoping out the area before you go hot is a good idea. I thought I was being smart, starting with a grenade. See that little arrow to the left? That’s the medbot who screwed it all up. Finally, there’s splitting up. Mutant: Year Zero emphasises stealth, the picking off of outliers, because you’re always outgunned in some fashion in a straight up fight, and it’s an interesting risk-reward calculation to leave someone in a better position, micromanage outside of the enemy’s view, so you can ensure the best outcome. So, an interesting world, seen through a funhouse mirror of post-apocalypse confusion. Solid writing, good music, a good aesthetic… And doing interesting things with genre mixing and the rote formulae we know and “love.” It’s tough, but it’s also fair tough, tutorialises well, and I’ve been having an enjoyable time, in the “Tense gripping of mouse and very quiet swear words when things go wrong and I know it’s my fault” sense. Well worth a look. 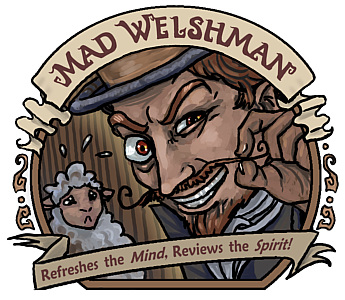 The Mad Welshman would probably be a top-hatted Corgi if he was a post-apocalyptic mutant. Cliched… But also CLASSY.